A trip through the tastes of Uruguay… special experiences of the Uruguayan gastronomy including olive oil & wine tastings, regional products and traditional dishes of the country. You will be riding from one place to the other meeting different Uruguayan chefs who will introduce you to the local secrets of the fresh local ingredients used in both the contemporary and traditional local recipes of Uruguay. Sharpen all your senses and come ride with us! Arrival to the port of colonia (suggested) or to the Montevideo Airport. Private transfer to Carmelo. Visit of the winery and welcome dinner where you will meet your guide! 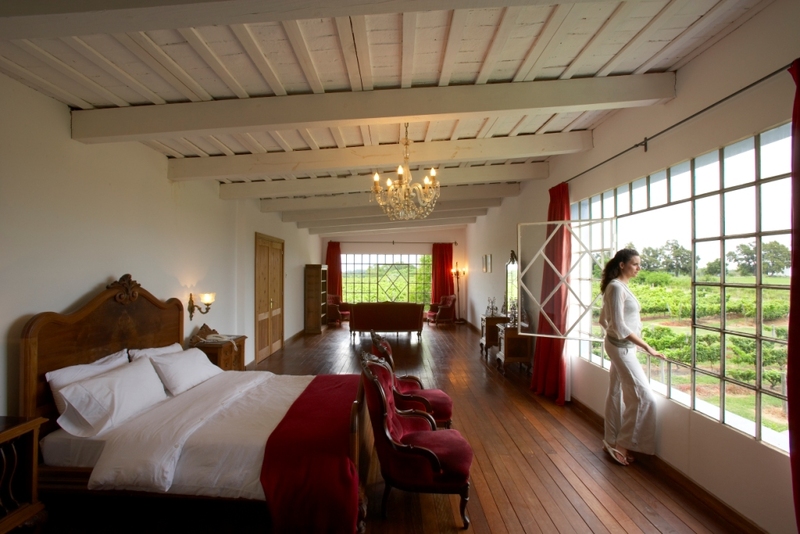 Accommodation at Finca Narbona Wine lodge. You will bike to the town of Carmelo and then continue onto the “Cordano” winery for a visit to the vineyards and wine tasting. 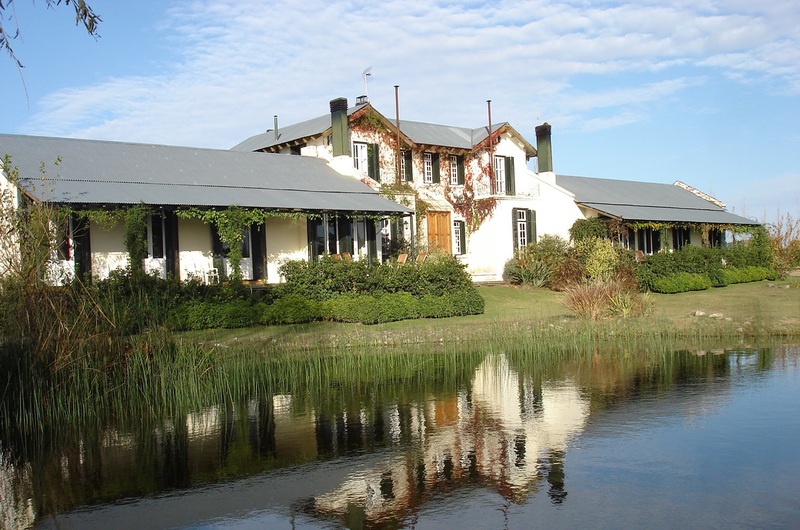 You will then continue to El Legado winery where the family will cook a typical Uruguayan asado fr or you! After a lovely day at the winery, you will return to Finca Narbona wine lodge and prepare yourselves for a very special experience in the evening: you will enjoy dinner at Posada Campotinto where “Elsa Manelphe” the French creator of “La Cuisine Secret” will prepare one of her “Secret menus” for you. “La Cuisine Secret” is a “nomadic organization based in Uruguay that proposes specific and theme dinners organized within closed doors; it is a private club that functions by invitation only and exclusively with prearranged bookings”. She will present “La Nuit du Vin” for you with a secret menu of 5 courses paired with the “km 0 Rio de la Plata” wines from the local Irurtia winery. After breakfast, morning transfer to the Anchorena National Park. After a visit to the park, you will bike to colonia del Sacramento to enjoy lunch at La Florida Restaurant, a small intimate restaurant with only 5 tables, where the chef and owner will cook exclusively for you. After a small walking tour of the old town, you will bike to La Casa de los Limoneros, a lovely posada where your host and chef, Sergio Vidra, will organize a cooking workshop based on local products and secret recipes. Sergio is a passionate lover of gourmet cuisine and has starred in several programs for “El Gourmet” channel. He will now prepare a special lamb recipe with sweet potatoes and grilled vegetables paired with a variety of local wines. After dinner, you will be able to visit the “Solarium Bar” of the posada and taste three of the exclusive cocktails which have made the place very well known in the area: “Suspiro de limón” (Lemonade from their own lemon production combined with ginger, mint, rosemary, vermouth, gin and raw sugar) and “Delicious Melon” (Whisky with smoked bacon and melon juice) among others. Morning transfer to Montevideo where we will enjoy lunch at the Port Market and then continue onto Casapueblo, where you will visit the museum of the renowned Carlos Paez Vilaro, the famous local artist who designed and built the place. You will bike along the Mansa beach towards the small town of La Barra and to the Fasano Hotel. Free night. Accommodation at the Fasano Hotel. After breakfast, you will bike to Bikini Beach located in the area of Manantiales and then continue onto the Atchugarry Foundation where you will be able to see the permanent art exhibition of regional artists including the wonderful work of Pablo Atchugarry, a Uruguayan sculptor who has specialized in working with marble. You will then continue onto the private house of the renowned chef Laurent Laine, locally known as “el franchute” where he will specially cook for you in his own cozy kitchen! After a marvelous lunch experience, you will continue to the town of Jose Ignacio where you will stay at the stunning Playa VIK. Free night. After breakfast, you will bike to the Garzon lagoon, where the canoes will be waiting for us to cross towards the Anastasio lagoon and to the “Lagoon Shack”, a lovely area where you will enjoy the experience of joining our local chef “Isidro Arocena” in the art of cooking for one of the local rural schools of the area that will be invited for lunch with us! This is a very simple and small school where the children of the working people of the area attend classes. They will have the opportunity to enjoy lunch and some of the activities offered in the “lagoon shack”. After a lovely day sharing with the children, you will bike back to town. Dinner and accommodation at Playa VIK where Marcelo Bentancour, the property’s chef will cook some fresh fish of the day with you in the intimacy of the hotel’s grill in order to celebrate the end of an unforgettable trip! After breakfast, transfer to the airport to board your flights. This cycling tour in Uruguay is simply outstanding. Nestled between Brazil and Argentina, this tiny country in South America is a true traveler’s and cyclist’s paradise. It is peaceful, quiet and, above all, gorgeous. Our bike tour is true to its name, visiting the vineyards that produce Uruguay’s famous tannat wines and cycling along the Atlantic coast. You will bike through the marvelous Parque Anchorena National Park and admire the diverse wildlife along the way. You will be stopping for private cheese and wine tastings throughout the week and visiting historic cities like Colonia Del Sacramento and booming natural destinations like Punta del Este, this bike trip is unlike any other. Join us on a cycling tour in Uruguay and experience the trip of a lifetime. Meet at the Buquebus Ferry Boat terminal in Colonia del Sacramento for our transfer to the charming Carmelo Resort & Spa A Hyatt Hotel in Carmelo. In the afternoon, we will enjoy a traditional mate tasting. After breakfast, we’ll bike to downtown Carmelo and Playa Cere before continuing to the boutique winery, El Legado, for a tour of the vineyard and a wine tasting. Here we will indulge in Uruguay´s famous tannat wines. This grape is known for yielding very intense ruby wines, marked by firm, mature and lasting tannins. Lunch in Carmelo. In the afternoon, cycle to the wine lodge Finca Narbona where we will enjoy a cheese tasting including their specialty cheese made with crude cow’s milk combined with a tannat wine tasting. Before returning to the Carmelo Resort & Spa A Hyatt Hotel, enjoy dinner at Finca Narbona: delicious homemade pasta, house specialty! After breakfast (9:30 am), we have a short transfer (40 min, approximately) to Parque Anchorena, one of Uruguay’s private national parks, for a special treat. Exclusive access to the park. Our private cycling tour will take us through the park as we ride among the thousands of deer in their natural habitat. From here, we will continue on to the historic city of Colonia del Sacramento (1h 30min), where we will meet our local guide for an in-depth tour of this picturesque city, then stop for another deliciously prepared lunch at La Florida restaurant. After lunch we will visit the Portuguese museum, the Spanish museum, the Portuguese Museum of Tiles, and the main church and lighthouse. For those longing for an additional bike ride, it is possible to cycle the rest of the way to our hotel, Casa de los Limoneros, where we’ll enjoy dinner later in the evening. After breakfast, transfer by van to Juanico winery (1h45min approximately). Upon our arrival we will head out for a quick bike loop around the winery’s lake, capped off by a champagne toast. We’ll then enjoy a tour of the winery, a wine tasting and lunch. After lunch we will continue to the stunning Punta del Este (1h45min approximately). Free night; there will be a shuttle to and from the city center for those who want to head into town. Accommodation at Agua Verde Luxury Wine Lodge. After breakfast (09:30), check-out and bike to Casa Pueblo Museum, the workshop of the world-famous Uruguayan artist Carlos Paez Vilaró, who designed and built the building himself. His place is a masterpiece – without a single straight line. His unique style represents a breaking away from traditional architectural concepts. After our visit, we will continue biking to Manantiales (Bikini beach) where we will have lunch at Cactus & Pescados Restaurant. Following lunch, you can either hop in the van or ride the rest of the way to our hotel for the night in Jose Ignacio, Posada del Faro. This morning (10:30 am) we will transfer to the village of Garzon (45 min approximately), founded in 1892 by Fermin de León. Here we will take a cooking class and have lunch at Casa Anna. Afterwards, we will cycle to Colinas de Garzon, an amazing olive oil plant surrounded by olive trees and vineyards. Our visit here includes an incredible olive oil and wine tasting. Continue the ride to Anastasio lagoon, where a fisherman boat will be waiting to take us to Garzuana for a happy hour. At the end of the Day, return to the Posada by car or continue biking. Dinner in La Huella restaurant. 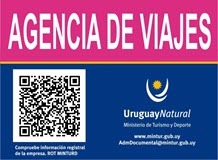 After breakfast, say adios to Uruguay as we transfer you to the Punta del Este Airport. We suggest you to take a flight from Punta del Este Airport.